Detailed, honest, and always gets the highest ratings – these are descriptions of Lydia, MaidEasy Cleaner of the Month – November! Not only she’s good at making your house neat and tidy, she works honestly and diligently! Let’s get to know her a little bit better. Coverage areas: Damansara, Bandar Utama, TTDI, Kepong, Titiwangsa, Taman Desa. The thing about Lydia is that she’s honest, and do work without berkira and just do it. Even with us, she will not take the extra money. Lydia was working in retail for the past 8 years and she had no experience in professional cleaning and decided to move on to something more satisfying. Working at her first house was the most memorable experience for her and the turning point. Customer advised her if she wants she must improve. From then on she improved. 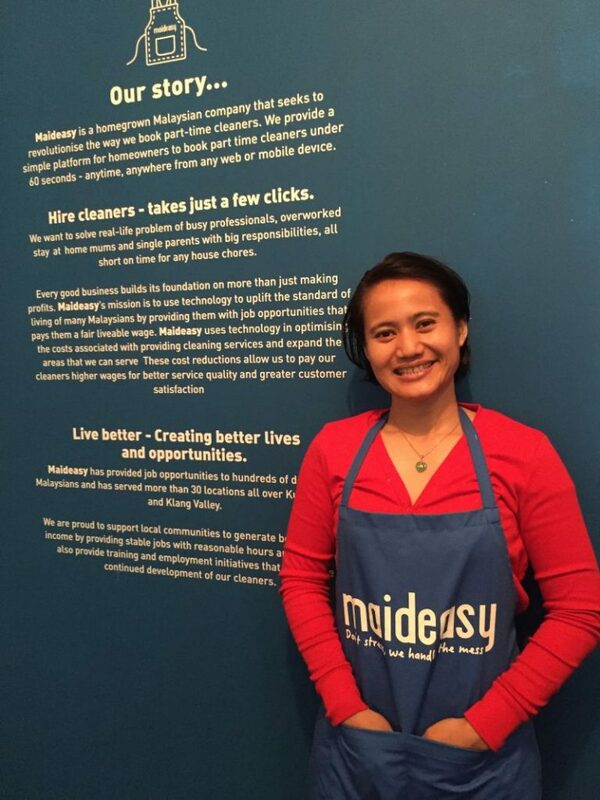 Now she’s happy working with MaidEasy, getting something more satisfactory & loving the flexible time. In addtion, Lydia has top notch dedication to MaidEasy and is the perfect model of “dedicated and honest”. She always has a smile on her face, is friendly, kind, and courteous to all. Her easy going attitude and willingness to learn and improve herself makes her the definite winner of our cleaner of the month. If you receive an SMS from MaidEasy that Lydia will be your cleaner, sit back and relax, you can be sure that your house will be in good hands. So congratulations to Lydia from MaidEasy family. Do make sure you pass on your congratulations when you see her. Cleaner Spotlight: MaidEasy Cleaner of the Month – OctoberTackling Cleaning When There’s No Motivation!